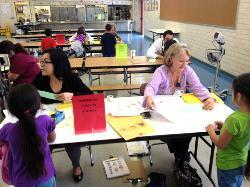 On September 13, 2013, the Healthy Los Nietos Project was working in full force at Aeolian Elementary School. 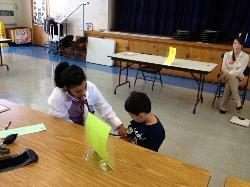 First, third, and fifth grade students had their blood pressure, and BMI (height/weight) scores calculated. The parents of children who received irregular readings will be notified by the school’s health clerk first and will then be contacted by a medical professional from PIH Health. 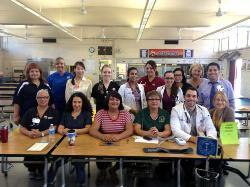 Under the direction of Associate Program Director of the Residency Program, Dr. Ingrid Patsch; Kim Romig, Behavioral Health Faculty; Ricardo Lopez, Senior Services and Community Health Education Supervisor; and Brigida Davila, Outpatient Diabetes Educator; PIH Health medical residents and the health clerks of all four schools participated in the student screenings. 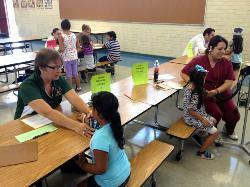 The screenings will take place at all three elementary schools and one middle school in the Los Nietos School District (first, third, fifth, seventh, eight grades). 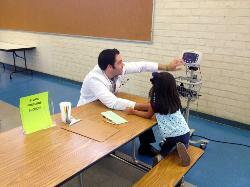 Recent studies have shown that children in the Santa Fe Springs and Whittier areas have some of the highest rates of childhood obesity and juvenile diabetes in Los Angeles County. In order to proactively combat and support the needs of the Los Nietos children, Superintendent Vasquez and Dr. Virag Shah, Program Director of the PIH Health Residency Program, began a collaborative partnership that is now in its third successful year. 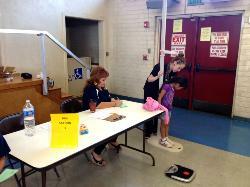 The Healthy Los Nietos Project was created to help support a healthy and more active lifestyle, and raise awareness through education with the students, staff, and parents of the Los Nietos School District. As part of the HLN Project, all Los Nietos School District educators were trained in the Coordinated Approach to Child Health (CATCH) Program, which is a physical education and healthy eating curriculum. 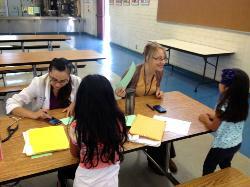 All four schools in the Los Nietos School District will begin full CATCH implementation this year with staff CATCH Champions, CATCH parent advocates, principals, school health clerks, and cafeteria managers attending monthly meetings to discuss ways to help the Los Nietos Community lead healthier lifestyles. 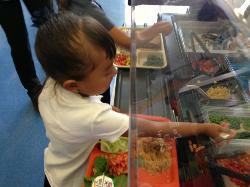 Under the direction of School Nutrition Director, Kurt Chou, who was trained at the California Culinary Academy, the school cafeteria menus have undergone a dramatic and succulent transformation of the cafeteria food that is being offered to students. It is not uncommon to see fresh pears, apples, grapes, berries, and squash being included with student cafeteria entrée menus. 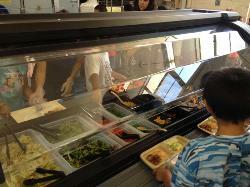 The new menu items and the fresh produce are being consumed in record numbers by both children and staff members. 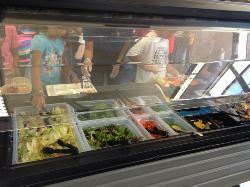 Last year Director Chou applied for a grant that funded four salad bars, one for each school site. 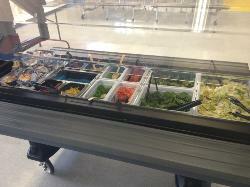 Currently there are full salad bars being run at Aeolian and the Los Nietos Middle School while the District waits for the other two salad bars to come in. 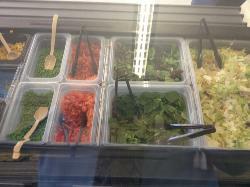 Salad bars routinely offer two kinds of lettuce, sliced tomatoes, sliced cucumbers, sliced peppers, and other seasonal vegetable items. 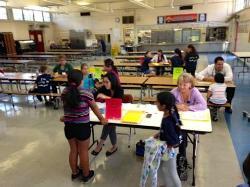 The Los Nietos School District is able to offer 100% of the students in the District the ability to eat free breakfast and lunch every day because the majority of the District’s students have family income that qualifies under the Federal Government’s guidelines for free lunch. With creativity, ingenuity, and a strong and successful partnership with PIH Health, the Los Nietos School District is helping our students not only be academically successful, but providing them opportunities to lead healthier and more active lifestyles. On September 20th, Dr. Patsch and Superintendent Vasquez will be presenting at a Community Health Roundtable that is being sponsored by Kaiser Permanente. The Roundtable is designed to showcase innovative ways community organizations are facing health concerns and challenges in their areas. 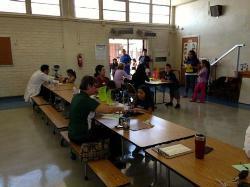 Organizations that have been invited to discuss their projects include: Activate Whittier, Azusa, Baldwin Park, Bellflower, Healthy Downey, Activate Hawaiian Gardens, Healthy Los Nietos, South Gate and the Los Angeles County Department of Public Health PLACE (Policies for Livable Active Communities and Environments) program staff.